MOR-EV - Boston GreenFest - Aug. 16-18, 2019 - FREE! 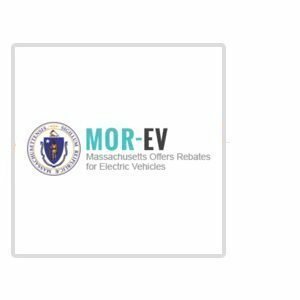 MOR-EV is a Massachusetts program that issues rebates to electric vehicle drivers. Purchase or lease an eligible electric vehicle and apply for your rebate today! The Massachusetts Offers Rebates for Electric Vehicles (MOR-EV) program aims to provide air pollution emission reductions for the Commonwealth by increasing the use of electric vehicles. Funded by the Executive Office of Energy and Environmental Affairs’ Department of Energy Resources (DOER) and administered statewide by the Center for Sustainable Energy (CSE), MOR-EV provides rebates of up to $2,500 for the purchase or lease of zero-emission and plug-in hybrid light-duty vehicles.